It just struck me we don't have any discussion for this group on here anymore, yet they are putting on some of the bigger shows in the capital. For background, 'RevPro' was originally the arm of south-east stalwart IPW:UK that was running the regular SIttingbourne events, as well as the 'Revolution' supershow in London. A few years back, they officially split into two, with IPW:UK continuing to run Swanley (and now finding a home in Tonbridge, with other shows taking place in Snodland) while RevPro now runs a new venue in Sittingbourne, as well as loaded-up 'supershow' events several times a year in London's York Hall. I was a longtime follower of IPW:UK, dating back to the awesome Orpington days, through Swanley, to Bromley, and then Sittingbourne. There was a time when their Sittingbourne events were the best thing going on these shores, but went to my final one in February 2012 when they seemed stuck in a samey-samey pattern, weren't particularly exciting anymore and I could no longer justify the pain-in-the-arse 5+ hours it would take for me to get down to some Kent hell-hole. The above-mentioned split then occurred, and when the RevPro announced running a 'higher' tier of supershows in York Hall, Bethnal Green, they had me interested again. The York Hall shows so far have been inconsistent. The June 2013 show (Liger vs. Devitt) was a bit crap, but the October follow-up (Tanahashi vs. Marty, Ricochet vs. Devitt, Zack vs. Davey, Elgin vs. Dar) was outstanding, easily the best one-off British show I saw that year. I didn't bother with the 'High Stakes' show in early 2014 as the line-up (Jay Lethal, Sonjay Dutt, Colt Cabana) did nothing to inspire me, but then June 2014 show (Nakamura vs. Zack, Steen vs. Marty, Devitt vs. Adam Cole) was again superb. The last show, 'Uprising', in October wasn't particularly good, but did have some standout moments such as Will Ospreay vs. Matt Sydal, and enjoyable appearances from Kazuchika Okada, Austin Aries, Rikishi and Too Cool. That was followed up by an event the next day in a Clapham nightclub where I felt completely and utterly ripped off after opting for the 'premium' £30 seats, couldn't see a damn thing and ending up standing like everyone else. - Colt Cabana returns after losing a 'Loser Leaves' stipulation bout last year. I have no idea about the titles anymore, since no news seems to be reported from their smaller shows that take place between the York Hall showcases. All the floor seating is now completely sold out, but balcony tickets remain. There are, however, people trying to offload spare floor seats on the Facebook page, and I know 'Gadge' on here has 3 spare 2nd row tickets he is looking to sell. I'm looking forward to the show. They normally try to make them feel special with big fancy entrances for some of the performers, and Styles/Ospreay and Scurll/Ricochet could be tremendous. I have come to have a soft-spot for 2 Unlimited's spot-spot-spot tag style, and the Irish siblings are like a throwback to the early 00s indy scene (except with an awesome 90s dance entrance rather than generic nu-metal). So, yes. If you're going, see you there. If not, I'll probably be tweeting the main goings on (@BenPCorrigan - it's all I use my Twitter for these days actually...). I'm going tonight, I can't wait to see AJ Styles live for the first time. so they're bringing Ishii in for the summer sizzler show ? well thats pretty damn great. I love RPW. It's everything British wrestling should be. Currently sick at home and watching RPW on Demand (Uprising 2014). WrestleTalk TV and RPW should make a deal quick. Instead of NGW and all that old FWA stuff, they should show RPW stuff in between. It's a no brainer i.m.o. with Scurll being the champion, family friendly matches, high quality production values and the immense video library wih so many awesome, relevant matches. Time to really push Scurll, just look at with all the publicity did for Grado..
With allocated seating (something PROGRESS could learn from, to be honest), there was no need to rush for doors opening and I appreciated being able to casually stroll up from the Fake Wetherspoons to York Hall. Well, that was the theory. Instead, we joined a very large and very slow-moving queue around 30 minutes before the scheduled bell time. They certainly seemed to have done impressive business and put on something that had made people want to come out. At the time the show was supposed to start, there were still several hundred people outside, meaning the show actually ended up starting some 25 minutes late. I saw some reports listing the attendance as 1,100. Not sure if those reports are accurate (the old FWA shows here in 2002-3 were reported as drawing 1,000+, when in reality they were 700-900), but it certainly did look up there; packed and busy. To those who think you can draw just by runing a well-known venue in the centre of London, I remember the old RQW shows here that struggled to draw triple figures. They also did a FREE show at the Hall that only drew 200. In what did come as a big improvement, the venue were actually letting you take drinks from the bar area into the main hall now. I’ve been coming to shows at York Hall for over a dozen years now and this was always one of the most frustrating things. Even worse, they put up a screen to intentionally block you from seeing the ring from the bar. It meant you either had to choose which matches you didn’t mind missing to go and stand in the bar and have a drink, or try to go and hot-shot drinks between matches, or just join the massive crush in the bar at the interval. I can somewhat understand the policy for the more rowdy, partisan crowds you would get at the regular local boxing shows (where, to be fair, punters will also often attend specifically to see a particular bout or certain boxer, rather than an entire show) but it seemed daft for the slap n’ tickle panto that is wrestling. When we asked about it, the barman told us they were “trialling it for the first time tonight” to see how it went. From what I could see, no-one seemed to misbehave, embarrass themselves or cause problems for the rest of the crowd, so it’d be great if that policy was adopted for all wrestling events here from now on. It’d be great, for instance, to be able to enjoy a Corona (“La Cerveza Mas Fina”) or a Sol during the Lucha Libre World shows coming up in July (for which, disappointingly given there were 1,000 wrestling fans in the building in which they are running, I didn’t see a single flyer around). As for the show itself, it was very enjoyable indeed. The first half didn’t set the world alight, but was decent entertainment that warmed things up nicely. Then, after the interval, the 3 matches that comprised the second half were genuinely superb and were the difference between this being an ‘alright’ show and it being a ‘great’ show. Things got underway with Colt Cabana coming out to a decent reception. There was a bit of a backlash against him a year or so ago when he was the champion here and people had grown tired of him, but after a bit of an absence the public seemed happy to have him back. Cabana didn’t waste any time and asked the fans if they wanted to see him return to RevPro. This brought out Lord Gideon Grey, who had beaten Colt in a ‘Loser Leaves RevPro’ bout 11 months ago, together with Rishi Ghosh and a kid in glasses. This was the first time I’d ever seen Grey, and everything about him makes for a great traditional pro wrestling heel character. Fans chant “Princess Unicorn” at him because, and this is a true story, a young kid randomly shouted it at him at a local show once and it stuck and caught on. I also hadn’t seen Rishi Ghosh in close to a decade, and had absolutely no idea he’s become so naturally entertaining. Grey was understandably none too happy at Cabana showing up, and it turned out the lad in specs was a lawyer from “Goldstein, Goldstein & Goldstein” (“NEEEEEEEERRRRRRRRRDDDDDD!!! !”) who pointed out the contractually-binding nature of last year’s stipulation match and confirmed there was legally no way Colt was allowed to appear in RPW. A dejected-looking Cabana was escorted out of the ring by security. Of course, everyone knew this wouldn’t be the last we saw of Cabana tonight, but this was a nice little segment to set it up. Brilliantly, that was good enough for Roberts, and the match was on. Plenty of daftness and shenanigans that went down really well, particularly since there was nothing even approaching light-heartedness anywhere else on the card. Coming close to stealing the whole thing was Rishi Ghosh’s animated antics at ringside. A very simple match, as you’d expect, but a very enjoyable one. After Iron Claw holds, liberal interference and more, Classic beat Grey with airplane spin followed by splash from first rope. It was at this point that they did the customary big announcement video for the headline import for the next York Hall show. So, this time we get Tomohiro Ishii at the June show (‘Summer Sizzler’?). I could see that one coming at some point this year, and I can imagine he’s on a lot of people’s ‘to see’ lists. A good, timely booking, especially while he is still on his somewhat-unlikely career ‘hot streak’ at the moment. My first thought was a big, brawly, bruising match against Dave Mastiff, but thinking about it more a match against Zack Sabre Jr. in this setting could be incredible. On a side note, I do really like the way they do these announcements on the big show (n. The Giant). The interval was next. There has been a tendency on these RevPro York Hall shows for the break to drag on for 30+ minutes, but they were quite good with their timekeeping here and the second half started with a sizeable amount of people still queuing for the bar. As I mentioned earlier, the 3 matches in the second half of the show were all excellent. And that was that. ‘High Stakes’ couldn’t touch it’s October 2013 and June 2014 Bethnal Green RevPro predecessors but was still a strong show in its own right, especially considering that brilliant second half, and ended up better than the October 2014 effort. I’m not going to start going to RPW’s other, ‘smaller’ shows (I do live at the other end of the country), but if they keep putting on shows like this in the centre of the capital 3-4 times a year, they can count on my ticket money. 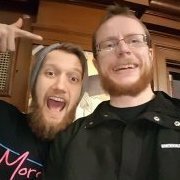 RevPro’s next event is actually THIS SUNDAY (22 Feb), back in London for a smaller show at the intimate Cockpit Theatre near Marylebone station. Ospreay vs. Rocky Romero is the only thing announced for that one. Plus a 6-way Scramble featuring Tiger Ali, Owen Phoenix, Josh Bodom, Flyin' Ryan, JIMMY HAVOC and Wild Boar. Sounds cracking, I think you know how devastated I am that I had to miss this. So, this time we get Tomohiro Ishii at the June show (‘Summer Sizzler’?). I could see that one coming at some point this year, and I can imagine he’s on a lot of people’s ‘to see’ lists. And so he should be. He's a bowling ball of awesomeness. Just as the obvious first thought when Styles was announced was "Please, God, put him with Ospreay" I had that same feeling here about the possibility of a dogfight between Mastiff and the "Stone Pitbull." I just can't imagine being in the position of having the chance to do Ishii vs Mastiff and doing ANYTHING else with him. It would be an amazing battle of bulls. Or dogs. I may very well see if I can scrape together the bunse for that one. Oh, I also forgot Gadge getting told off by the people in the row behind him for NOT CONCENTRATING ON THE WRESTLING~! Excellent review Benny G. I loved the show and was impressed with the main events. AJ Styles is the man! Last Sunday's show is already available for on demand viewing... trying to post the link on my phone is a problem. I'm not trying to embed it. FFS. Ah oops completely misread the date there. MASTIFF VS ISHII PLEASE FOR THE LOVE OF GOD!!!!!! !